Very nice piece. Interested in this line of research – thanks for pointing out this new review. Manifesting is a way of empowering us. It enables us to take charge of our lives instead of just leaving it to chance and fate. It gives us the power to transform our thoughts into something that is real & material to us. If you keep thinking about money, a picture of a dollar bill or a check will come into your mind. I totally agree about biological mechanisms being involved in evolution. I am, however, somewhat puzzled about your position of accepting punctuated equilibrium. Over the 650 million years since the Cambrian the typical advanced species has gained 20,000 or so genes. Since genes normally function only as part of genetic mechanisms one can infer some smaller number of genetic mechanisms – say 2000 to 5000. At the point when these mechanisms became active most will have left no trace in the fossil record. For some proportion there will have been a signature in the fossil record at the point they camo on-stream. Plausible estimates put the number of these in the hundreds. 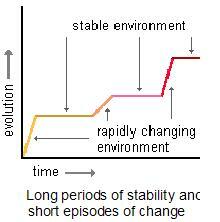 Hence a set of visible jumps in the fossil record at roughly million year intervals. This is by far the most plausible explanation of the jumps. Any other explanation, including punctuated equlibrium, must explain two matters – why the jumps occur at the frequency expected for addition of genetic mechanisms and how genetic mechanisms can be added without leaving a signature in the fossil record. It is relatively easy to work out the evelutionary economics of genetic mechanisms that create novel genetic mechanisms. If you are interested in my thoughts on the subject contact me. I am not a biologist and do not follow the evolution dabate continuously – I apologise for the delayed response.